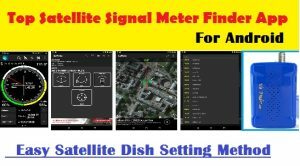 satellite signal meter finder app:Friends, I will tell you the top 5 satellite signal meter finder app to set up satellite dish signal in this article.For this, all installers use Satellite DB Finder or Set top box to set up satellite signal .By following this article you will be able to set up the signal from mobile to satellite dish.To set the signal from mobile to satellite dish, you will need to install the satellite signal finder app.Satellite signal finder app download and details below. The best mobile app for setting up a satellite signal is the DVB Finder. 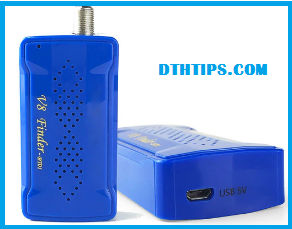 DVB Finder App works on Bluetooth or QR Code.You need a Bluetooth Finder Device to set the Dth signal from DVB Finder App. By connecting the Bluetooth mobile to v8 Finder, we can set the Dth signal.Also you can set up a Satellite Signal by connecting mobile to the Set top box. But you should have a DVB Finder feature in the Set top box box.Feature of DVB Finder comes in the Hello box. 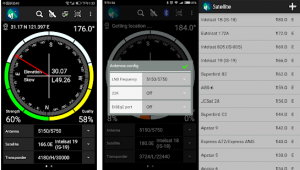 The second number of Quicksat App comes in the satellite signal finder app.You can set Satellite Signals from Quicksat App.Only the Quicksat app will work right from your mobile compass sensor.Need to add Dish SMC to Dth Signal setting from quicksat app. You can track any Satellite Signal using the Satellite Pointer app.With the Satellite Pointer app, you can target Satellite by viewing it on Mobile Display.There is a reference of 200 satellites in this app.Apart from this, you can manually add satellites in it.If the Satellite Pointer app purchase the Pro version, then the 4 steps alignment tool will be found, allowing you to easily track the Satellite Signals. Satellite Finde App is a tool which will help you to set up satellite dish Signal . It will give you azimuth, elevation and LNB skew for your location (based on GPS) . The result is shown both as numeric data and graphical on google maps. It has also built in compass which will help you to find proper satellite azimuth. It also can use augmented reality to show where is satellite on camera view. 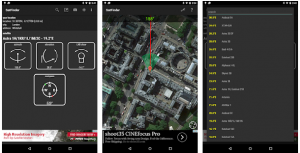 You can also use the Satellite Directer App for Satellite Dish Signal setting.If your mobile has a compass, then this application will work properly.With the Satellite Director app you will be able to locate satellites azimuth, elevation and LNBF skew angle. How to use the Satellite Director app? To see that, watch the video below. 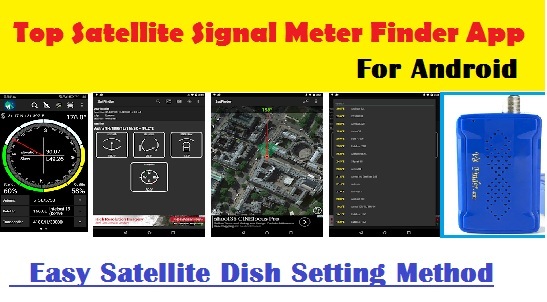 Friends, this article has given you Top 5 satellite signal meter finder app.You can easily set up Dth Signals using this Satellite Signal Meter app.Friends If you like this post, please share it.If you have any questions related to Satellite Signal Meter Finder, then do the comments to us.Please subscribe to our Facebook page for such interactive information of DTH, subscribe to our YouTube channels Dthtips. Thanks you..